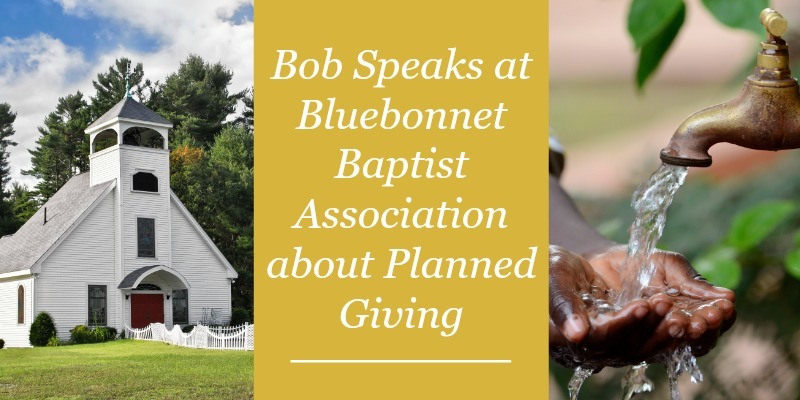 Bob was invited to speak at the Bluebonnet Baptist Association annual meeting to educate local pastors about planned giving strategies for their churches. 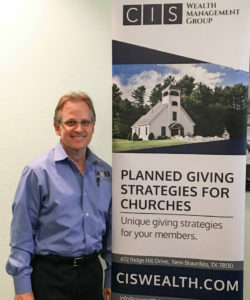 Bob shared his 10-4-4 Planned Giving Strategies Presentation which has been used many times to educate those with philanthropic intentions on creative ways to make their giving goals a reality. If you are interested in giving strategies you can implement for yourself, or if you are part of an organization that would like to learn abour tools and resources to communicate to your supporters, please contact us at 830-609-6986.